Lumion is an essential tool for everyone who wants to visualise their building designs. It produces impressive, high quality videos very quickly and is extremely easy to master. Before Lumion, rendering used to be really hard. Setting up and completing a render used to take days. With Lumion you can create images in seconds and videos in just a couple of hours. Anyone can sit down with Lumion and within 15 minutes learn how to create videos, images and 360 panoramas. Customise a video on the spot with the client or quickly create multiple variations. Lumion renders stunning images in seconds rather than hours. And high quality HD videos in hours rather than weeks. Lumion’s built-in video editor, allows even beginners to create professional quality videos. Just take a few snapshots and Lumion will convert them into smooth, skilful camera motions. Add overlay images, filters or special effects and you’re ready to render a video that you can watch on any PC or Mac. Or upload it straight to YouTube and share your beautiful presentations with your client. Lumion visualisation software – now used by 61 of the top 100 architect companies in the world – helps people feel the spaces that have been designed for them by transforming CAD models into professional images, videos, and 360 degree panoramas with minimal effort. In fact, Lumion is so effortless and easy to use, you can make last minute changes before a meeting and finish the renders in minutes, just in time to knock your client’s socks off. And now, with the introduction of Lumion 8, you’ll be able to delight and amaze clients on a whole new level. Lumion comes with HDRI Real Skies. Select one and watch as it works together with the updated Sky Light effect to cast a new light on your design, placing it in an evocative context with a stunning backdrop. Instant, beautiful skies to take your breath away. With 39 Real Skies and their pre-configured Sky Light settings in Lumion, it takes a single click to give your design the perfect clear blue morning, stormy afternoon or unforgettable sunset. Change the sky and your design’s entire lighting changes with it, putting you within reach of an awe-inspiring render in literally seconds. Spice up your landscape designs and add a variety of realistic grasses to your parks, gardens, lawns and any other surfaces with the new Customizable 3D Grass materials in Lumion. Express the real feeling of your designs with the new Atmospheric Rain and Snow. With just a click, you can create everything from the light drizzle to a full-blown downpour, the winter flurry to a whiteout blizzard. The Atmospheric Rain and Snow is located under the Precipitation effect in Photo and Movie mode. New highly realistic 3D grasses and fur textures heighten the beauty of your designs, drawing your audience into the project with details that they can easily imagine touching, smelling and hearing. Soft to the touch. Colorful and fluffy. For the ultra-comfy blanket or rug, the new furry material provides charm and warmth to any surface in any space. 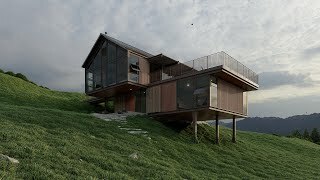 With 122 highly realistic, new materials in Lumion Pro, including almost 100 textures from the well-renowned Polygon, it’s easier than ever to quickly convert the blank skeleton of your 3D model into a lively scene teeming with color, depth and feeling. 7 new fabrics including cashmere, muslin and printed rugs. 14 new marble stone materials. 8 new cobblestone stone materials. New 3D Grass category with 14 highly detailed 3D Grass Materials. New Fur category with 10 highly detailed Fur Materials. 30 new, high-quality animated 3D people, including men, women, elderly people, bicyclists and more. *Lumion contains about one-third of the total library content, while Lumion Pro contains the full library. All of the new objects are HD quality, and the new additions bring the total number of objects in the Lumion 9 content library to 5,259 *. 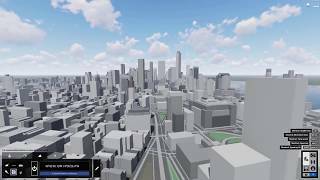 Lumion 9.3 raises the bar on the speed and ease of building context around your model. 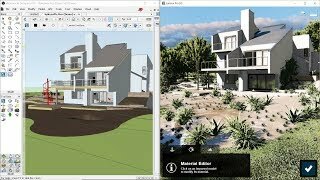 Features like LiveSync enable simultaneous, real-time rendering with popular modeling programs including Revit, SketchUp, ArchiCAD, Rhino and now Vectorworks. Lumion 9.3 also comes with a host of other features and hundreds of new content library updates. And no matter if you’re working on the simple residential house, the dense garden or the massive cityscape, the enhanced beginner workflows, streamlined scene-building tools and lean library of Lumion 9 will help you go from blank 3D model to mind-blowing render in record time. 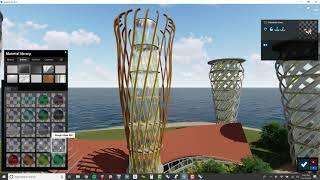 The latest version of Lumion creates a smoother real-time rendering experience with improvements to the LiveSync functionality, compatible with Revit, SketchUp, ArchiCAD, Rhino and, now, Vectorworks. 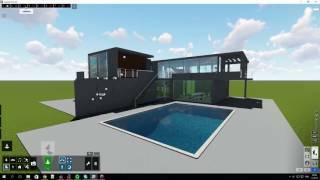 With the new LiveSync for Rhino in Lumion 9.3, you can simultaneously model and render, visualizing changes in real-time. Sync camera perspectives and materials while continuing to develop the shape and form of the model, and experience your design in a whole new way as you’re creating it. LiveSync is only available for Rhino 6. Need urban context, fast? In Lumion 9, OpenStreetMap has gone through a major update to bring you higher quality city context at faster speeds than before. Save the perfect table arrangement, load the picturesque bedroom. Your favorite object arrangements and groups are uniquely yours, saved now and forever! Placing objects is now more intuitive, easier and faster. Smart object technology via easy-to-use hotkeys can help ensure the right object placement while saving you valuable time and streamlining your scene building processes. A double-click takes you anywhere throughout the scene, so you’ll never lose sight of your model again. When your computer crashes, there’s no need to lose your mind. In Lumion 9, you can rest assured that your Lumion file is safe and sound with the new automatic file recovery feature. The new Sky Light daylight simulator and the soft and fine shadow enhancements. Turn them on and watch as the foliage and grass become dramatically photorealistic. See the shadows beneath tables and shelves become subtle and soft. Notice as people, plants and buildings suddenly look like they belong where they are. Lumion 8 makes it easy to clearly communicate the form of your design with the “hand-drawn” outline effect. Apply it together with photorealistic, sketch or artistic effects to draw a focus to your building’s general shape and form. It’s the bones of your design, rendered beautifully and easily. Is the wood-focused flooring a good fit with the stone walls? Which will your client like more, Design A or Design B? Perhaps the home’s siding and patio are proving tricky to match. Whatever the case, the new variation control effect is an easy way to compare multiple options for materials and models. Your clients will find it convenient when balancing a range of concept options and choosing a look they can be satisfied with. As the architect, this Lumion 8 feature speeds up your workflow when researching and communicating the best design solution. Are the colors too cold? Too dull? Overexposed? In Lumion 8, you can easily dress your model in its best light with the new color correction improvements. Tune up color temperature for a “warm” mood. Adjust the vibrancy for increased color intensity without saturation. You can even temper the sharp contrasts by making the shadows a little lighter. A seagull has flown past at exactly the wrong moment, an animated person’s arm has mysteriously swung into the building’s facade. Through the new Time Warp effect in Lumion 8, you can implement a time offset to shift the small movements of animated people, animals and objects. Toggle time backwards. Or forwards. Your animated objects will now adjust their positions so they pose exactly in the right way, at the right time. In Lumion 8, the layer effects feature has been improved and is now easier than ever to apply. It enables a straightforward workflow when showing selected layers in images or animations. You can also use it to demonstrate phasing by assigning subsections of your design to different layers. No matter the project, the new layer effect function is easier and faster to apply. There’s something about a maquette that computer-generated renders can’t replace. By applying the new tilt shift effect in Lumion 8, your design becomes part of a miniature world. With a viewpoint above your model in Lumion, the tilt shift effect changes the plane of focus and blurs the foreground and background. It’s a camera effect which transforms your CAD model into a scaled-down version of the real thing. Create an impressive first-person video and never lose sight of the most important parts of your design. 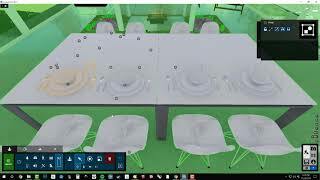 As an addition to the handheld camera effect, the new “Look at fixed point” option in Lumion 8 lets you lock the camera onto a single target point. New in Lumion 8, the two-point perspective slider allows you to move along a spectrum adjusting the degree of 2-point perspective that’s applied. . You’ll have greater control straightening structures that look like they’re leaning over, while correcting lines that seem skewed and disorientating. From many viewpoints, this effect imparts a cleaner and more geometrically accurate look, giving it a solid, realistic appearance. Trees, plants, cars, people. Furniture, lights, decorations and more. Now, with the new grouping feature, it’s possible to bunch multiple objects together and control them all at once. Whether a table and its furnishings, a plant and its pot or a lampshade and its light element, discover ease and ultimate control as you rotate, scale and move several objects together without losing the arrangements you carefully prepared. Landscapers rejoice! For Lumion 8, you can use the mass placement feature to instantly place numerous objects in complex shapes, including curves. With just a few clicks, plant multiple trees that follow the winding curved contours of your garden design. Quickly fill your roundabout with a buzzing fleet of cars. Hold CTRL, set the corner smoothness and you can mass place objects in any winding shape you like. OpenStreetMaps is a fantastic tool for instantly placing your design in a real-life setting. In Lumion 8, it’s now possible to hide and show the imported OSM buildings. This way, you can easily put your model right in the center of a big city, such as NYC, without other buildings getting in your view. New materials, objects and more! From the waterfront to the city fountain to the mansion with a swimming pool, Lumion is renowned for its realistic water. Lumion 8 raises the bar with even more water options to suit your specific context. The water itself looks more realistic than ever and there are twenty new water presets, with calmer surfaces, enhanced surface realism, transparency and rippling. Achieving beautiful water is just a click away.. In real life, the edges of any surfaces generally appear slightly rounded or worn. They are never perfectly sharp. With the new edges slider in Lumion 8, your model will take on a more natural and weathered look, one better representing the real qualities of physical homes and buildings. Impart age and realism by smoothening the edges of adjacent faces. Soften the corners of brick, concrete, wood and other materials. A simple slider movement, a more realistic building. Easy. Effective. 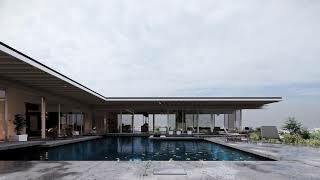 With 168 new materials available in Lumion 8, including 100 HD materials from Poliigon, you can instantly place your design in a setting you can “feel,” “hear” and vicariously experience. Add city sidewalks and cobblestone streets that are incredible in their realism and texture. Create stunning brutalist structures with new concrete materials, and pull your viewers into your interiors with amazingly realistic fabrics. You can even make glass that’s still dripping wet from a fresh rain or a long shower. These materials with finely detailed texture maps are the secret ingredient for viewers to “touch” the walls, “smell” the leather of the living room couch and “hear” the sound of feet moving across the floor. All of the materials in Lumion are of the highest quality, and they can be altered via weathering, soft edges (Pro only) and more. With the new additions, the total number of materials in Lumion 8 is 1,019. 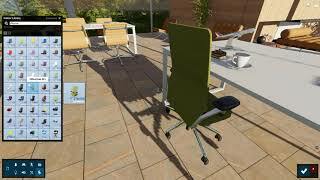 Breathe life into your designs with 734 new HD objects available in Lumion 8. Catering to interiors, exteriors, landscapes and urban centers, these new objects are purely extravagant in detail, surface shading and texture. Highly detailed birch and maple trees, for instance, allow for realistic geolocation-based rendering, whether your project is in America, China, Europe or elsewhere. For residential scenes and cities, you can show the hustle and bustle with luxurious sports cars, an animated dog walker and animated bicyclists. When furnishing an interior, there are hundreds of new decoration and food items to instantly give your renders that “lived-in” feel. 74 new tree species from around the globe, including variations in shape and size. 595 indoor objects ranging from high-quality decorations, beds, desks, office and home furnishings, food and drinks and many more. 26 outdoor objects, including satellite dishes, glass awnings, information signs and more. 25 new character poses and animations, including men, women, children, and pets (including a dog). 14 new vehicle models, including HD cars, sports cars and bicycles. All of the new objects are HD quality, and the new additions bring the total number of objects in the Lumion 8 content library to 4,395. 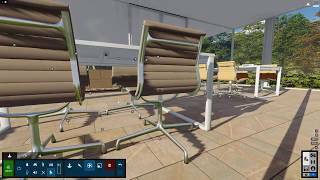 *Some content only available in Lumion Pro. You can now amp up the authenticity and style of your renders with 52 new high-definition materials, including stone, marble, brick and tiles. These new HD textures can help you apply the finishing touches in creating the perfect render. Do you have your own favorite materials set? With Lumion 7.5, you can now import your own non-square textures without any distortion. This means cleaner, more attractive renders with your own signature materials and styles! Lumion 7.5 is a free upgrade for Lumion 7 users. Make changes in Revit® and immediately see them appear live in Lumion! New in Lumion 7.3: LiveSync® provides a real-time high quality 3D view of your Revit® design. 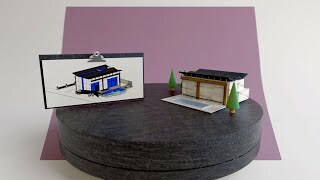 This plugin for Revit® creates a live connection with Lumion, so that changes in Revit® can be previewed in real-time in Lumion. Live synchronization can help you work faster, for example in the early stages of design, when you are making frequent adjustments to your Revit® model. Lumion 7.3 is a free upgrade for Lumion 7 users. The Lumion content library – an invaluable resource for quickly realizing a rich and full visualization of your design – is included with every Lumion purchase. With Lumion 7, the library has been expanded to include a host of new trees, more character models, new lights, and much more. 172 New tree and plant species from around the globe – Including variations in shape and size. 193 indoor objects – Ranging from kitchen appliances, office furniture, decorative objects, home furnishings and more. 346 outdoor objects– From road signs to garden furniture, park benches, bus stops and many more. 39 New character poses and animations– Including men women and children. 19 New vehicle models – Including Japanese cars and scooters. 216objects in the indoor and outdoor library categories are HD quality and the new additions bring the total number of objects in the Lumion 7 content library to 3666. Standard version of Lumion with less content. 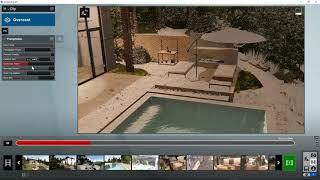 Professional version of Lumion includes all content and features. 48 Examples of fountains and "water walls"
Lumion requires a computer with a fast graphics card with plenty of memory. Make sure you look at the requirements below before you buy or upgrade a computer for Lumion. 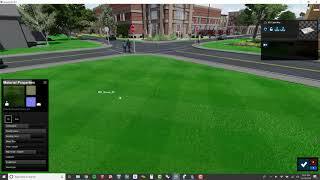 NOTE: Lumion and Lumion Pro require an internet connection. 64-bit Windows 10, 8.1 or 7 SP1 with all updates installed. Minimum 20 GB of disk space on the drive that the Windows User Account is located on. Minimum 30 GB of disk space on the drive that the Windows User Account is located on. *Rendering movies in 4K resolution requires a minimum of 6GB graphics card memory. 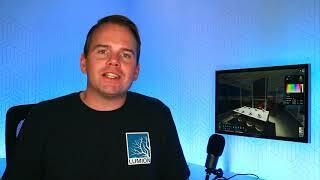 Does Lumion support ‘remote desktop’ access? No, Lumion does not officially support ‘remote desktop’ access, for example via Windows Remote Desktop, WMWare Fusion, VMWare VDI, Citrix/ZenApp, Teamviewer, Nvidia GRID, XenServer, XenDesktop etc. There are currently no plans to add support for any of these applications. Some ‘remote desktop’ applications such as TeamViewer might let you start the rendering procedure but navigating around scenes and moving objects etc won’t work as expected. Other ‘remote desktop’ applications such as Citrix and VMWare products will have trouble running Lumion.